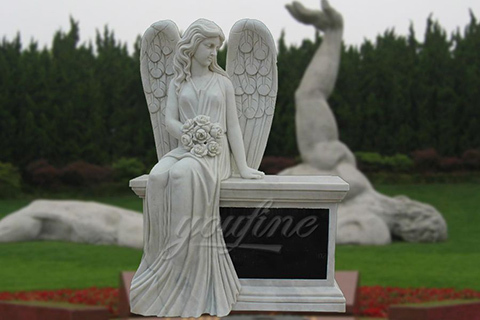 This Beautiful fully carved headstone of an angel kneeling and holding roses is ideal for a double grave site. Dimensions: 42" X 10" X 36" headstone with a 54" X 14" X 8" base (included). Standard Granite Colors: (Gray, Light Pink or Black), or can be purchased in other colors too. 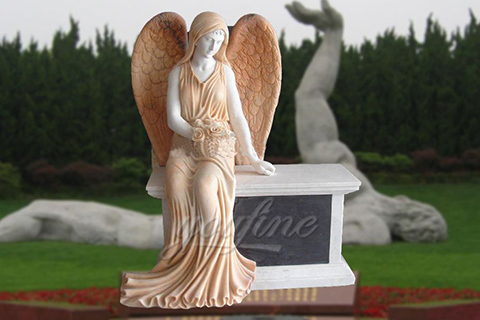 If you do not see a memorial statue on our web site that fits your needs, please give us a call and we will assist you with creating a beautiful memorial statue at a very reasonable price. 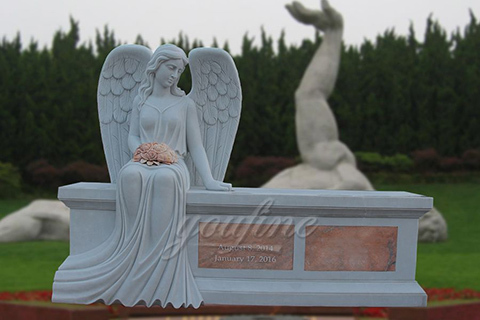 Please keep in mind, the memorial statues prices listed on our web site do not include the cost for shipping. Alternatively, adding a statue to a display, whether commercial or at the home, can create beautiful, calming and even inspirational atmosphere. 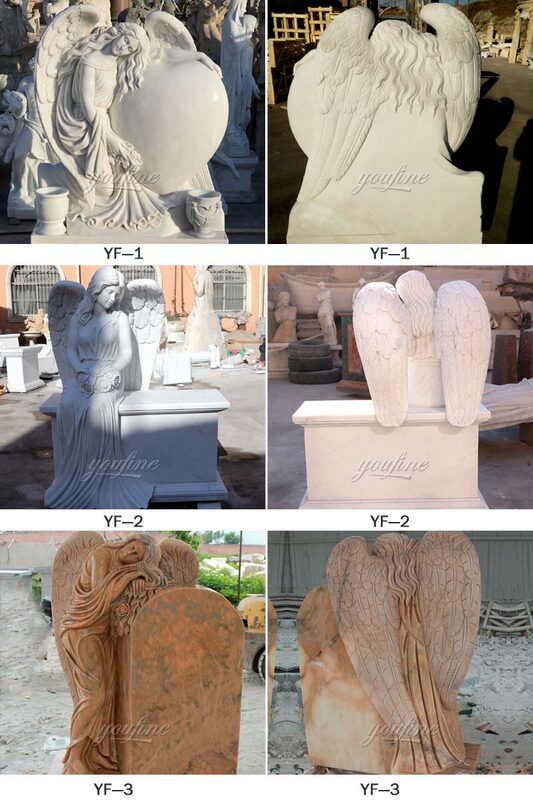 Angel Headstones, Angel gravestone, Angel monument. 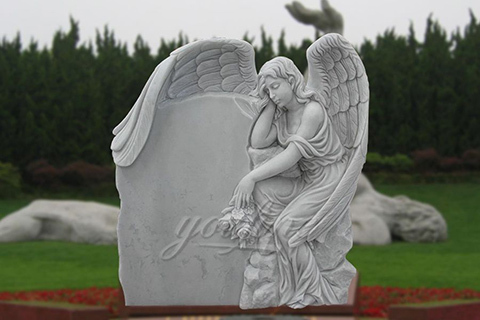 Clear Stream Monuments has a large selection of affordable Angel Headstones and Angel Monuments for sale. 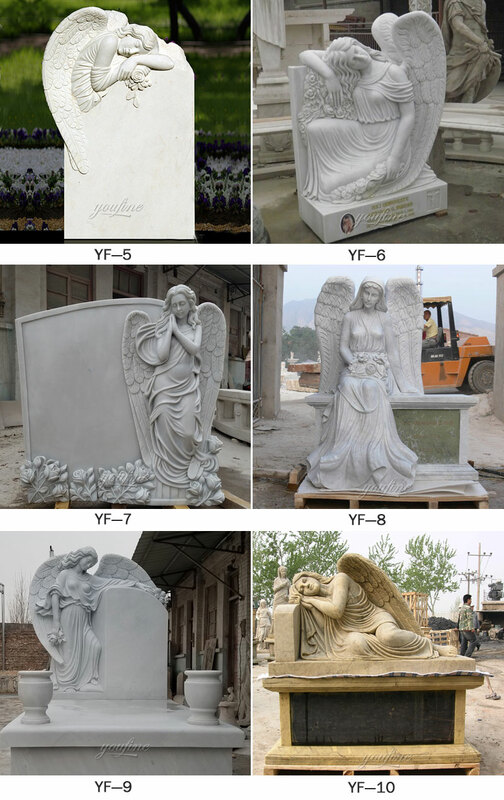 Angel Headstones, Angel gravestone, Angel monument. 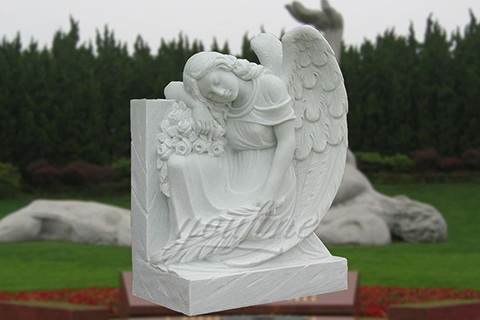 This Beautiful headstone of an angel dreaming on a single heart is ideal for a single grave site. Dimensions: 24" X 8" X 36" headstone with a 36" X 14" X 8" base (included).